Rock Hill,, South Carolina - February 11, 2019 /MarketersMedia/ — The Elrod Pope Law Firm has been serving and helping injured individuals in and around the area of Rock Hill, South Carolina since 1972 after founder Luther C. "Luke" Elrod was honorably discharged from the JAG Corps of the U.S. Army. Since that time, the law office has focused on helping individuals fighting personal injury and workers' compensation claims. Recently, Garrett B. Johnson, a personal injury lawyer in Rock Hill SC who has been with the firm since 2011, was named partner. During law school, Rock Hill injury lawyer and Elrod Pope Law Firm partner, Garrett Johnson, was extremely accomplished, winning several mock trial competitions, and studying abroad in Venice, Italy. Prior to coming to the Elrod Pope Law Firm in 2011, he worked as a legal intern for the U.S. Congress in Washington D.C. In addition to his work at our law firm, Garrett is also an active Attorney Coach volunteer for the High School Mock Trial Program. Providing aggressive defenses for clients who have suffered an injury at work, or due to the negligence of another person or entity is the top priority of the Elrod Pope Law Firm. Each staff member takes their role very seriously, providing clients with the confidential, quality, and professional legal services they expect and deserve. "(Garrett) Johnson has been working diligently for us since 2011 and are proud he's continuing his journey with us as a partner," said Law Firm Spokesperson Lorna Chaulet. "We encourage anyone who is looking for more information about our latest partner, or our law firm, in general, to visit our website and see why we are considered the premier personal injury and workers compensation attorney in Rock Hill SC service providers." Additional information about Garrett B. Johnson and the Elrod Pope Law Firm can be found by visiting the company's website, or by reaching out to the professional staff. 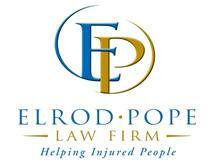 The Elrod Pope Law Firm has been serving personal injury victims, car accident victims and work injury victims. We serve all of South Carolina and have accessible offices in Rock Hill, Lake Wylie, and Lancaster for over a decade now. If an individual has been injured in a car wreck or at work, call the Elrod Pope Law Firm in Rock Hill, Lancaster or Chester today for professional, personal legal service.